Our website is designed to make shopping as customer friendly as possible. In order to shop simply select your items, view, then add to your basket. You can view the items in your basket at any time during your shop by clicking on the shopping basket symbol. When you are ready to finalise your shopping, proceed to checkout. You will have an option to create an account or login as an existing customer. Simply follow these steps to submit your order. Your transactions with us are covered by our security guarantee with Worldpay Internet payment system. Petron Lofts do not have access to any of your card information and this cannot be accessed by any other 3rd party. Once your order has been received we will endeavour to despatch this for delivery to you within 5 working days providing the items are in stock. If the items are not in stock will we contact you by email or telephone to advise you. If you are ordering personalised items these many take slightly longer to despatch. Please advise us if you require your order before a certain time and we will make every effort to accommodate this. 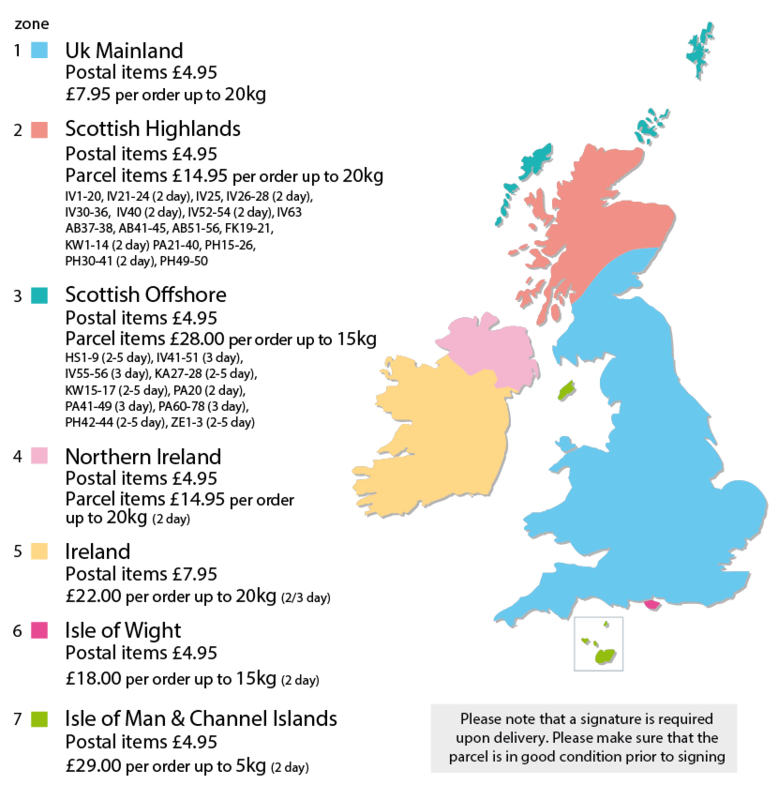 Your parcel will be delivered to you by either Royal Mail or Courier. Please check your parcel as soon as it arrives to ensure that it is correct and nothing is damaged. If you do not have time to check your parcel when the delivery driver is there, please make sure that you sign 'unchecked' as this will ensure that any damages caused in transit will be covered by the relevant courier service. Please notify us within 2 working days if there is problem with your order. If your item is lost during transit, we will replace it. In order to confirm that an order has been lost, we must wait until the maximum delivery time of 10 working days has expired before replacing your product. Items that require Pallet delivery are despatched with a Transport company. 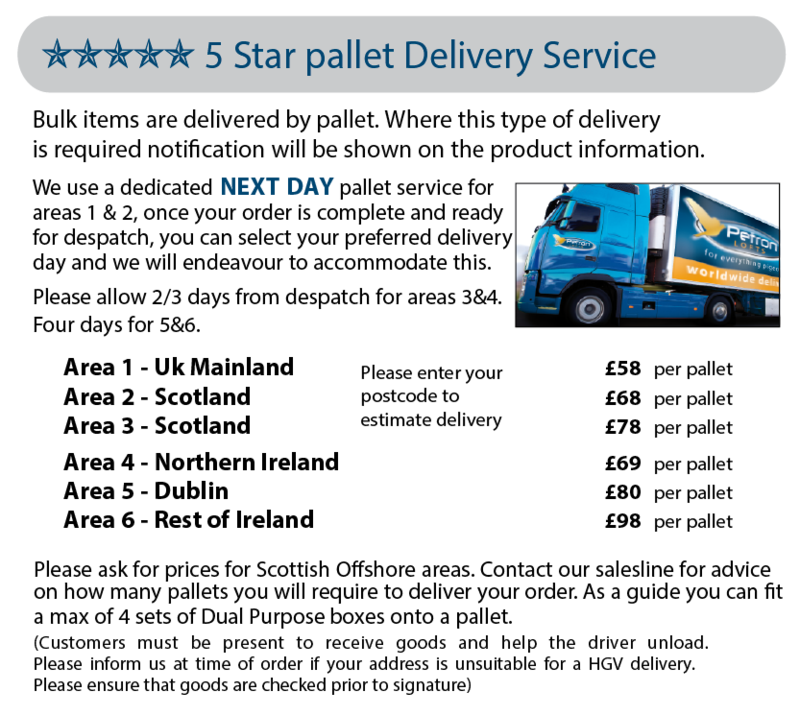 We will advise you of the day your pallet will be delivered as you will be required to be present to accept delivery. Please advise us is your address is unsuitable for delivery by large vehicle. We will endeavour to try and organise delivery with smaller transport but this may incur an additional surcharge to your order. We can offer personalisation to a selection of clothing items on our website. Where this service is available you will see facilities to add your own wording when you select the garment you require. You have the choice of front or reverse personalisation depending on the item design, simply enter which type you require on the product text box. If you have any specific requests please add these to the Order comments box when you checkout. Please ensure that you double check the spelling of your required personalisation as we cannot accept returns for any item that has been personalised unless it is faulty. We offer FREE delivery on all orders over the value of £85.00 for UK Mainland addresses. This excludes bulk items delivered by pallet. Where an item requires pallet delivery you will be able to see this on the product information section. Delivery surcharges also apply to Scottish Highlands, Scottish Offshore, N Ireland, Ireland, Isle of Wight, Isle of Man and Channel Islands. Please see the delivery chart below for full delivery prices. You can select ‘estimate delivery’ at any time during your order process, simply enter your postcode and select the items required. We pride ourselves on our speedy service, aiming to pack and despatch your parcel within 24hrs subject to stock availability. FREE DELIVERY on all orders over £85 to UK Mainland addresses. Surcharges apply to all other areas. Excludes items that require PALLET delivery. If you wish to return an item because of an error on our part or it is defective, we will be happy to refund your costs in returning it to us in addition to replacing the item. Faulty items must be returned unused and in the original packaging within 30 days of purchase providing Petron Lofts have been notified. If you have purchased goods online and are a consumer (a private person buying for their own personal use) then you have the right to cancel your purchase at any time within 7 days of receipt of your goods. If you wish to cancel an order which you have not received, please telephone us on 01274 852139 or email sales@petronlofts.co.uk. If you have received your goods and wish to cancel within 7 days please return them in an unused condition, complete, unopened and in a re-saleable condition. We will give you a refund of the price paid (excluding carriage costs and/or other surcharges which are non-refundable) Personalised items can only be returned if they are faulty. For items that are defective or faulty and returned to Petron Lofts within 30 days, a refund, exchange or replacement will be processed within 7 days of receipt of the goods. Please note that for items returned not due to our error, the return shipping costs will be deducted from the refund.